After the long wait, UNIQLO fans here in Davao City and the whole of Mindanao can now shop at their favorite store as UNIQLO opened its doors in SM Lanang Premier yesterday, May 26. And that's not it, another store is set to open in SM City Annex at Quimpo Boulevard Davao City on June 2. As for me, I was happy to be part of the exclusive media tour and VIP event a couple of days before the opening. It was graced by no less than Katsumi Kubota, Chief Operating Officer of Fast Retailing Philippines, the mother company of Uniqlo. UNIQLO is known around the world for its LifeWear-innovative, high-quality that is universal in design and comfort and made for everyone, everywhere. Through LifeWear, the company constantly develops technologies and fabrics to bring more warmth, more lightness, better design and better comfort to people's lives. for Snoopy lovers out there!!! The UNIQLO stores will offer a full-range of LifeWear essentials for men, women, kids and babies. This includes shirts, pants, dresses, proprietary clothing technology products such as AIRism and HEATTECH, as well as UNIQLO SPORT. 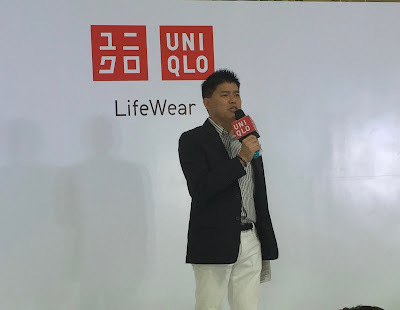 Aside from the extensive range of LifeWear items, UNIQLO gives away exclusive offers to Davaoenos from May 26-June 1 from its Men's, Women's, UNIQLO Kids and Babies Collection items to celebrate the store opening. 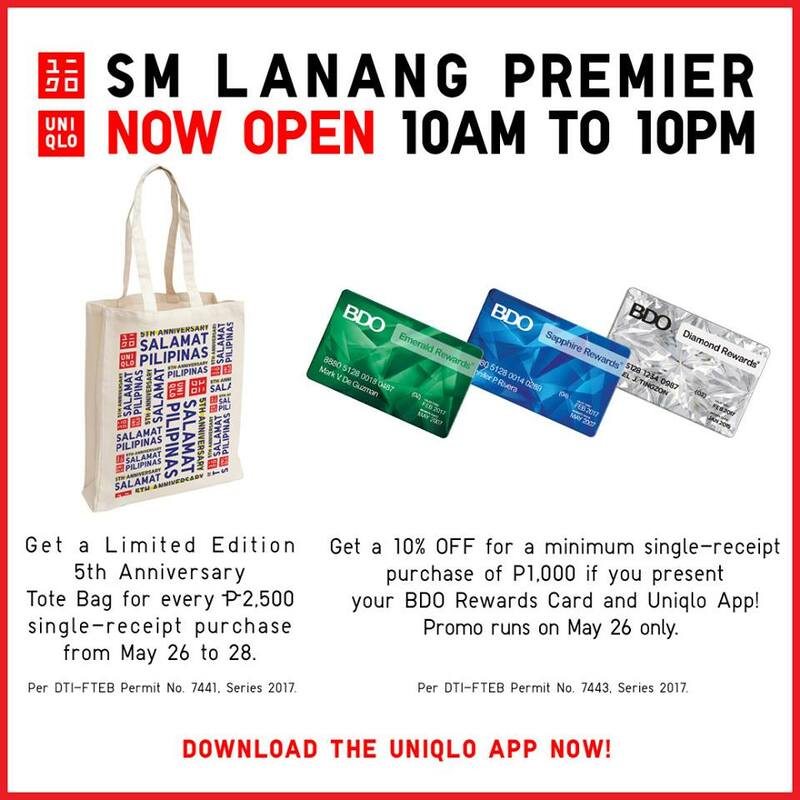 And as an added treat--- customers will receive a Limited Edition UNIQLO 5th Anniversary Tote Bag gift for every Php 2,500 single-receipt purchase from May 26-28, 2017. BDO Rewards Card holders also got 10% off on purchases of at least Php1000 on May 26.